seagull, spool, tackle box, anchor and drink. bucket and boots. 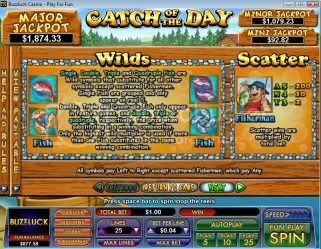 games and will pay out a multiplier according to their name. 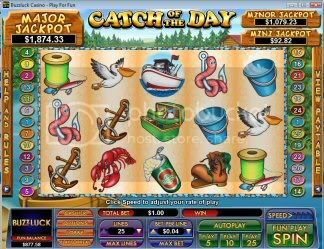 scatter, which is the fisherman, which can appear anywhere. 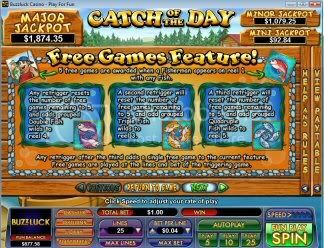 third free spins round will add the quadruple fish to reel 5. 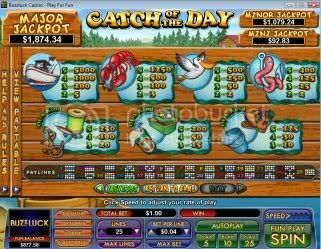 They have some fun slots here. This is one of them. That's the problem isn't it, we find a game that gets us hooked and then we can't move on to try different ones.